Shannon Airport will be the only international airport in Ireland with no direct European hub connection after Brexit. Currently passengers fly into Heathrow Airport for onward European and international connections. Customers also have three daily Aer Lingus outward and return flights between Shannon and London. 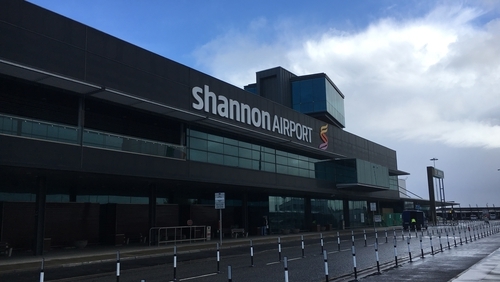 However, the lack of another European hub is a cause of major concern to businesses throughout the west and midwest region who use Shannon airport for international travel to Europe. Shannon Airport is a key driver of business and economic activity in the region. The Shannon Group supports 46,000 jobs and generates €3.6bn a year in economic spend. But Brexit has exposed a weakness in its connectivity. Heathrow airport is its only European hub, and so will become a third country once the UK leaves the EU. This poses a number of travel problems for businesses wanting easy and seamless access to the EU from Shannon. Kevin Thompstone is an international economic advisor who uses the Heathrow route regularly for onward travel to Europe, Africa and Asia. He is concerned about how Brexit will limit his options. "Currently there are no restrictions. But after Brexit I will be flying from an EU country into a non-EU country and onward into an EU country. Is that going to restrict and delay me? Will I now take my car or the train to an already congested Dublin airport to fly from there to a EU hub," he said. His view reflects that of many businesses who may now be forced to make choices about travel that will have a real impact on Shannon. Will they decide to fly from Dublin and will this threaten the long term sustainability of the essential Aer Lingus service from Shannon to Heathrow? Shannon already lost that service with dire consequences in the midst of the economic crash in 2008, when Aer Lingus abandoned its Shannon Heathrow service in favour of transferring those valuable Heathrow slots to Belfast. Shannon lost 320,000 passengers when that service was dropped, a huge blow to Shannon and the region. The service returned after a year of hard lobbying and a huge public campaign about "saving our slots", but understandably any mention of a threat to this vital service makes Shannon very nervous. The airport recognised this danger and began lobbying the Government last November about assistance and supports to lure other carriers into Shannon from strategic EU hubs like Amsterdam and Paris. Shannon Group CEO Matthew Thomas said: "EU hub connectivity is vital for our business and tourism customers in the midwest and west of Ireland regions. It provides the air access needed to conduct business, grow tourism numbers and attract FDI from Europe, which is now more important than ever with Brexit. "The reality is that in a post-Brexit situation the west of Ireland will be without this critical EU connectivity." He has admitted that practically it may get a little bit harder to travel through the UK into Europe so their focus now is about making a compelling argument for carriers from other EU hubs to fly from Shannon, and he is confident they have made a good case to the Government. Minister for Transport Shane Ross has made it clear he is very much in favour of Shannon Airport providing increased competition with Dublin Airport, and has asked Shannon management to provide him with a detailed plan about connecting with a major European hub. He also said that the promotion of stronger regions outside Dublin is fundamental to the Government’s Project 2040, with Shannon being one of the key drivers there. Shannon Chamber and tourism interests have also backed this proposal to Government about seeking assistance in attracting more EU Hub carriers to Shannon. Helen Downes, CEO of Shannon Chamber said connectivity is fundamental to businesses in the midwest and west, and they have called on the Government to safeguard that in their policy decisions. Tourism and hotel interests have also warned of the ending of EU connectivity through Heathrow in a post Brexit world. And while tourists and visitors do have more time and travel options, it is also causing huge concern. Mark Nolan, who is manager of Dromoland Castle in Co Clare and also a vocal member of the Irish Hotels Federation, has said they have always been fighting that they need more options out of Shannon than just Heathrow. He said that this has now been accelerated because of Brexit. Speaking to RTÉ News, he said: "We’ve always been fighting that we need more access than just Heathrow. But I think now that there is an accelerated urgency with Brexit, and the potential going from an EU country into a non-EU country, and back into an EU country. "So we are hugely concerned," he said.